Inter can win both the Champions League and the Copa Libertadores this year. Now that the dust has finally settled on the 2009-2010 Champions League, there is a strong consensus that it was won if not the best team, then at least by the team that most deserved to win it, Inter Milan. Barcelona are probably still worthy of their official ranking as the best club team in the world, a title bestowed by their victory in the World Club Cup Final in December 2009 when they outclassed the 2009 Copa Libertadores winners Estudiantes of Argentina. There is a common misconception that Barcelona had a poorer season in 2009-2010, winning only one title compared to the 6 they won the previous season. In fact Barcelona only won 3 titles in 2008-2009, the Spanish double of League and Cup as well as the Champions League trophy. In 2009-2010 they won 4 titles, the Spanish and European Supercups as well as the World Club Cup and the Spanish League. Hardly a disappointing trawl, particularly as high spending rivals Real Madrid won exactly nothing. Some of the football Barcelona played in 2009-2010, notably in the first away leg against Arsenal, was sublime, as good as it ever gets. Yet Mourinho’s Inter Milan side deservedly beat them over two legs, as well as also comprehensively overcoming Chelsea and Bayern Munich, so ending up worthy winners of the 2010 Champions League. 2010 Copa Libertadores Inter's name on this one too? This article will concentrate on identifying which club might emerge victorious from the 2010 Copa Libertadores and so earn the right to take on Inter in the World Club Cup competition in December 2010. Normally the Copa Libertadores turns out to be a struggle contested by the most powerful clubs in Argentina and Brazil, with the occasional victory of one of the Uruguayan duo of Nacional and Penarol to break the monopoly of the Big 2 countries. Only 3 times in the last 18 years has this pattern been broken, most recently by Pellegrini’s old club LDU Quito of Ecuador in 2008. The 2009 version had conformed to the usual pattern with Estudiantes of Argentina overcoming Cruzeiro of Brazil in the Final, having disposed of Nacional in the semi-final. . The sensational news before the tournament even started was that for the first time in recent memory neither of the traditional Argentinean big 2, Boca Juniors and River Plate, had qualified for the tournament. Nor did any of the other 3 of the classic Big 5, Independiente, San Lorenzo and Celtic’s old rivals Racing BA. Between them these 5 clubs have won the Copa Libertadores 16 times. It was as if all of Manchester United, Liverpool, Arsenal, Chelsea, Manchester City and Spurs had failed to qualify for the Champions League. The 6 Argentinean representatives were two former winners Estudiantes and Velez Sarsfield, and four smaller clubs Banfield, Colon, Newell’s Old Boys and Lanus. A future GGW Letter from South America will offer a more detailed explanation of the decline of Argentina’s most powerful clubs and their replacement by better run minnows. The Brazilian representation was particularly strong, consisting of the two best supported (and generally worst run), clubs Flamengo and Corinthians; and the three most powerful and best run clubs, Sao Paulo, Cruzeiro and Inter Porto Alegre. Nacional were a strong outsider but Penarol failed to qualify. Other possible outsiders were the Chilean pair Colo-Colo and Universidad de Chile. 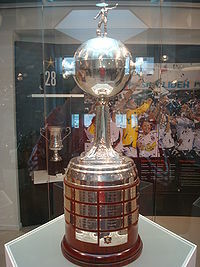 The structure of the 2010 Copa Libertadores was the same as in recent years. 24 clubs including all the champions qualified directly and a further 16 clubs played a qualifying round. The 8 qualifiers then joined the exempt 24 in 8 groups of 4, with the top club in each group qualifying for the knockout rounds. Then it gets more complicated. The 6 best of the second placed teams also qualify for the last 16 where they will be joined by 2 Mexican clubs from a separate Mexican only qualifying process. There have been mixed reactions to the decision several years ago of South American Football Federation to allow 2 Mexican clubs to play in its major Club tournament. Purists and traditionalists, including GGW do not like it but the lure of adding Mexican TV money to the later knockout stages overcome those sentimental feelings. It was assumed that the Mexican clubs with their greater wealth would be serious contenders on a regular basis. Yet to general surprise since Cruz Azul made the 2001 Final only to lose on penalties to Boca Juniors, no Mexican club has even qualified for the Final. Before the 2010 Copa Libertadores kicked-off in January, GGW predicted that the two favourites to contest the final were Sao Paulo and Estudiantes, with Cruzeiro, Inter PA and Velez as the three teams likely to challenge them hardest. The Qualifying Round produced only a couple of minor surprises as two of the Argentinean teams, Colon and newels Old Boys failed to progress, losing respectively to Universidad Catolica of Chile and Emelec of Ecuador. The Group Stages took place February to April. There were no major upsets with Corinthians, Sao Paulo, Inter PA, Estudiantes and Velez all winning their groups comfortably, as did Nacional and Universidad de Chile. The 8th Group winners were Libertad of Paraguay from a weak group. Cruzeiro and Banfield qualified comfortably as among the best runners-up but Flamengo cut it very fine finishing up just scraping through as the 6th best runners-up Colo Colo and Lanus were the two most notable failures to make the knock-out stage. The 14 qualifiers were joined by the two Mexican survivors, classic giants Guadalajara and in a surprise small San Luis. The prime tie of the first knock-out round was between the Brazilian giants Flamengo and Corinthians. Flamengo had been the surprise winners of the 2009 Brazilian League and Corinthians had won the 2009 Copa Brazil thanks mainly to Ronaldo’s goals (See LSA The Fat Boy Done Good). 2010 is Corinthians’ Centenary Year and they were desperate to celebrate it with a first ever Libertadores triumph. They invested in several players including the legendary Roberto Carlos of Real Madrid and Brazil fame. Corinthians had performed far better than Flamengo in the Group Stages and entered the two leg tie as clear favourites. The Flamengo Directors had failed to build on their unexpected league title success and almost incredibly the man responsible for that triumph, the coach and ex-star of their 1980s World Club Cup winning team Andrade, was sacked shortly before the first Corinthians tie. The first leg game was held in the famous Maracana Stadium. For hours before the game and throughout the first half there was torrential rain which made the game fairly farcical. After 35 minutes Flamengo had Michael, returned from adventures in Kiev, sent off for two hard tackles within a minute and so faced almost an hour with a man less. Despite this numerical disadvantage they had the better of the play and it was no surprise when they took the led well into the second half. Adriano, happier in himself after his miserable years in Italy with Inter Milan, scored with a well-taken penalty kick. Adriano nearly doubled the lead with a great header somehow touched onto the post by the Corinthians keeper. Flamengo deserved their victory, and clean sheet but Corinthians remained confident they would triumph in the second leg back in Sao Paulo. The return leg was publicised as ‘Ronaldo versus Adriano’ the two returned heroes. In the event Ronaldo won the private contest by scoring to put Corinthians 2-0 up at half-time and thus in a strong position to qualify. But Flamengo fought back in the second half and their other star forward, the green-haired Wagner Love, also recently repatriated from Russia via Palmeiras, scored what proved to be the crucial goal to allow Flamengo to go through on the away goals rule with a 2-2 aggregate result. In the best of the other first round ties Guadalajara of Mexico put out Velez Sarsfield, winning 3-0 in the home leg and hanging–on desperately for a 2-0 defeat in the second leg in Argentina. And Cruzeiro made lighter work than expected of Nacional winning 3-1 at home then going to Montevideo and shocking the Uruguyans by winning 3-0. Inter PA seemed to have lost their chance when surprise Argentinean Champions Banfield beat them 3-1 in the first leg, but nothing if not dogged Inter came back to win the second leg in Porte Alegre 2-0 and thus qualify on the away goals rule. Holders Estudiantes comfortably disposed of Mexican minnows San Luis. Estudiantes could even afford to reverse the normal South American rules and field a complete reserve side in the first leg saving their regulars for an important league game 3 days later. Sao Paulo made life harder for themselves than it need have been but did scrape through on penalties against Universitario of Peru. The final two qualifiers for the Quarter-Finals were Universidad de Chile and Libertad of Paraguay, knocking out respectively Alianza Lima and 2004 winners Once Caldas. The Four Quarter Final ties all proved very interesting, demonstrating again that the 201 Copa Libertadores will be remembered as one of the better ones. The tie that had seemed the most competitive proved to be the most straightforward. Sao Paulo outplayed, outthought and outfought Cruzeiro winning both legs comfortably and gaining ample revenge for their defeat at the same stage last year. Once again Flamengo demonstrated their capacity for self-destruction (see LSA ‘Butterfly wings’). Without resolving their management situation they took on Universidad de Chile in the Maracana confident of victory and ended up losing 3-2. In the second leg in Santiago they were clearly the better and dominant side but could only win 2-1 thereby exiting on the away goals rule against a clearly inferior team. The Universidad Manager Pelusso had tried to wind them up before the second leg game calling Adriano and Wagner Love drunk and fat. His taunts nearly backfired as both fat men scored. Since this defeat Adriano has packed his bags and returned to Italy hoping to find more peace and tranquillity in Roma than he did in Milan. Definitely a case of the triumph of hope over experience but whatever, he is lost to a Flamengo side that relied on him massively last season. The final quarter final turned out to be a classic Brazil Argentina clash. It is hard not to feel sorry for holders Estudiantes. They dominated the first leg against Inter PA in Porte Alegre and were cruising to a comfortable goalless draw when Inter scored a dramatic headed winner in the third minute of injury time. Then in the second leg, Estudiantes easily established the 2-0 lead they needed to ensure qualification and were calmly running down the clock when a poor Inter side struck with only 2 minutes left to knock the stunned holders out on the away goals rule. The Argentineans didn’t take their elimination well. Desabato the rugged centre back who has previous form started a rumpus which ended up in a mass brawl. The aftermath has left two Inter players, Lauro and Walter, banned for both legs of the semi-final against fellow Brazilians Sao Paulo. The victory and the place in the semi-final was not enough to save Inter manager Fossati who was sacked shortly after the second leg, due to the Directors’ dissatisfaction with the poor quality of Inter’s play this year. Scolari has already turned down the chance to take the job and seek a third Libertadores title with three different clubs(having previously won with Gremio and Palmeiras). Poor Estudiantes also narrowly lost out on the Argentina Closura championship despite being clearly the best team in Argentina so from having looked like getting it all they have ended up with nothing. If they can hang onto their squad, probably the strongest in South America, they will win other trophies, but strong rumours have Premiership League clubs swooping for players like Boselli and Angeleri, so maybe it will all unravel. Adriano The Emperor strikes back, in time to secure invite for title winning party, to sit on the bench. Flamengo reborn but stumble just before the line. Ronaldinho recrosses his own line and is smiling again, for football rather than nocturnal reasons.